This image was featured in the Spectacular Bride Magazine and Blog. 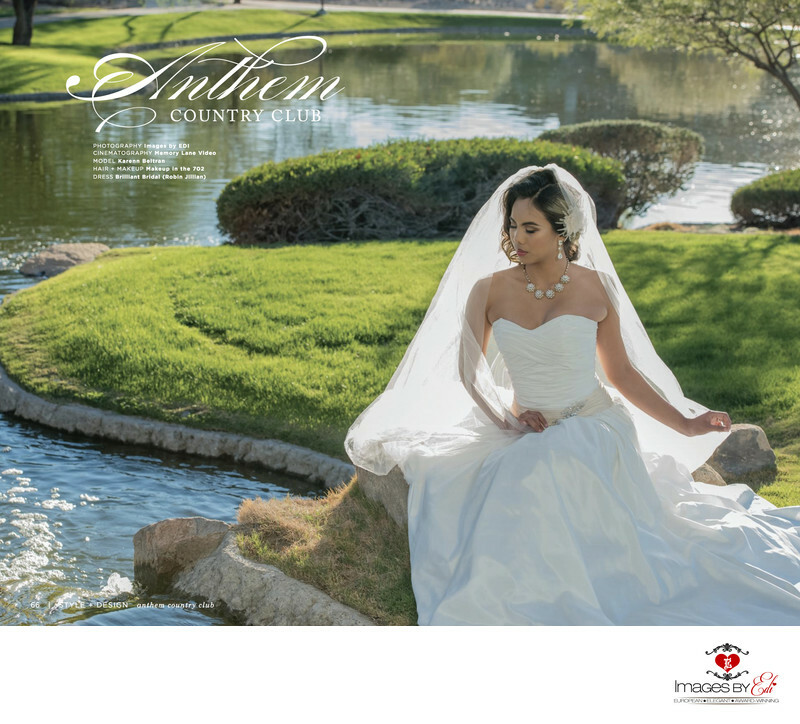 The magazine published quarterly, featuring Las Vegas weddings. To highlight Anthem Country Club and its beautiful locations, Spectacular Bride Magazine teamed up with Images by EDI to capture these beautiful bridal images. Our lovely bride, Karenn features a timeless bridal style wearing a Robin Jillian gown from Brilliant Bridal complete with a sweetheart neckline, ivory jeweled belt, and a stunning cathedral-length veil. her hair and makeup was created by Makeup in the 702. With stunning desert backdrops, lush gardens and serene golf courses, Las Vegas Anthem Country Club offers some of the most beautiful and diverse backgrounds for an outdoor wedding.